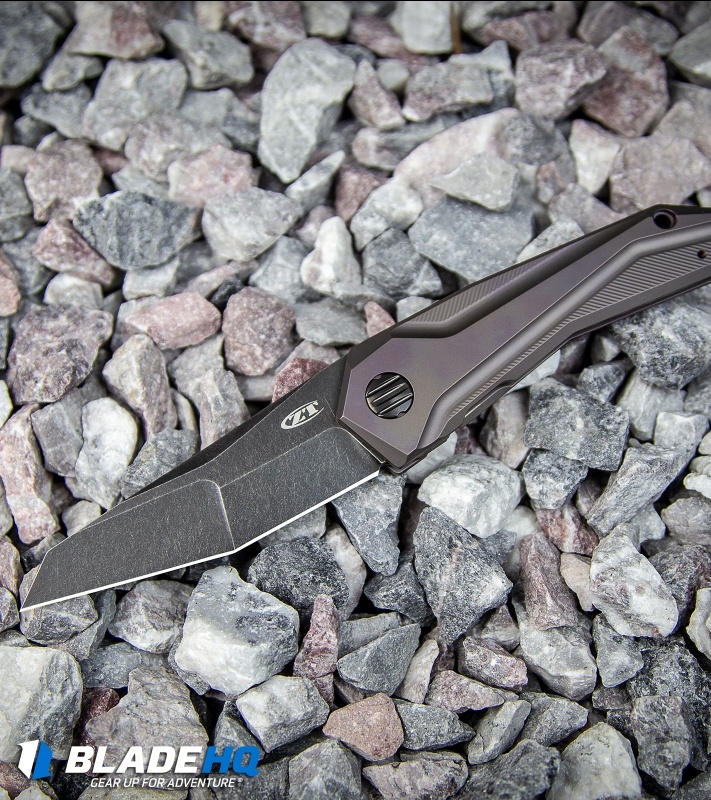 This Sprint Run 0055BRZ model features a BlackWash blade and a bronze titanium handle. 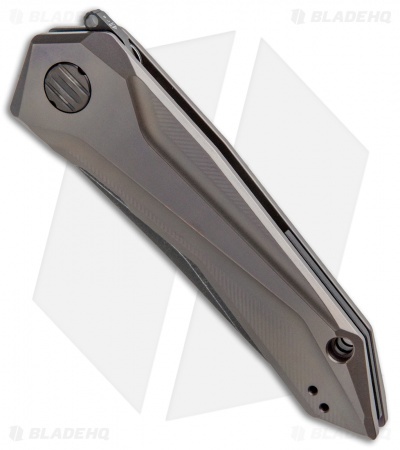 The Zero Tolerance 0055 is a brilliant collaboration that draws inspiration from the Airborne folder by Gus T. Cecchini of GTC Knives. This flipper knife features Gus' SLT hidden flipper tab, making it so the flipper is concealed when the knife is closed to keep the aerodynamic lines of the 0055 intact. 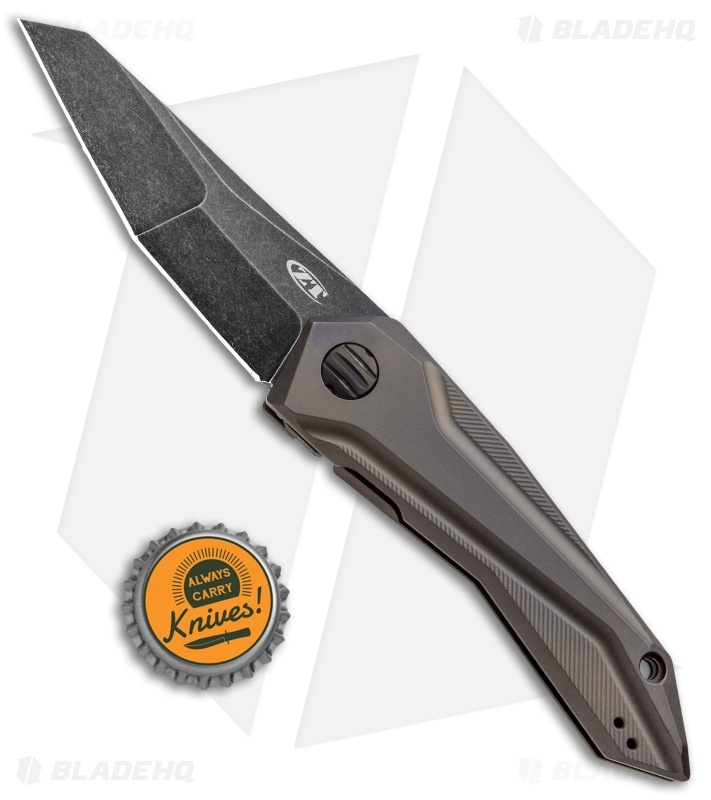 To deploy the blade, pull back on the SLT to reveal the hidden tab, and use the flipper to activate ZT's smooth KVT ball-bearing fueled action. The ZT 0055's precision machined titanium handle is fitted with a backspacer, durable frame lock, and hardened steel lockbar insert. 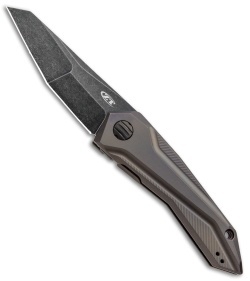 Its reverse tanto blade is made from CPM-20CV with a compound grind. Comes complete with a reversible tip-up pocket clip. CPM-20CV steel offers excellent toughness and wear resistance. 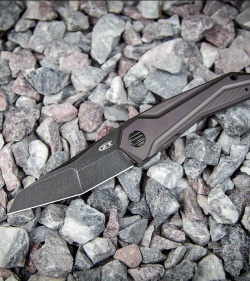 ZT's KVT ball-bearing pivot system provides superb flipping action. SLT (spring-loaded tab) keeps the flipper tab concealed when closed. So I'm gonna start off by saying I cant carry this in my state so I bought it purely for looks and some of the amazing features it has. I LOVE THIS KNIFE. Its flipping action is instantly addictive and it's made perfectly. Not a single flaw on mine. I love the 20cv, blackwash blade and bronze ano combination. I almost purchased the 0055 when it was first released, but decided to wait. Once this sprint run came out, I was glad I waited for the updated blade steel and the stonewashed black blade. 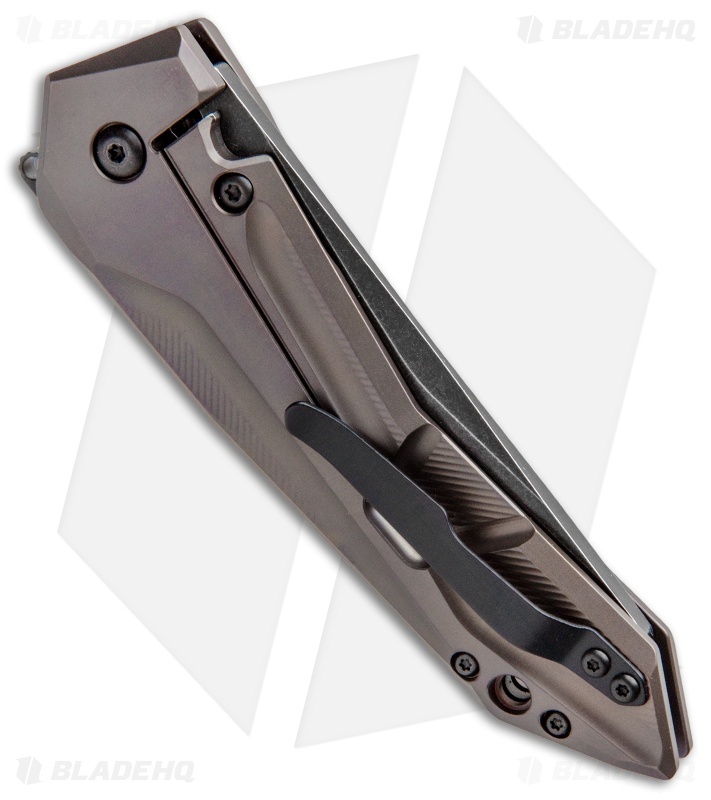 The bronze anodizing on the titanium is beautiful and I love the GTC SLT. Razor sharp blade backed by the best warranty in the business.